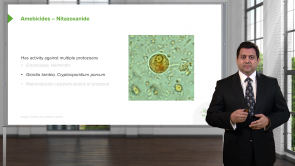 Antimicrobial Pharmacology – Online Course | Start for free! 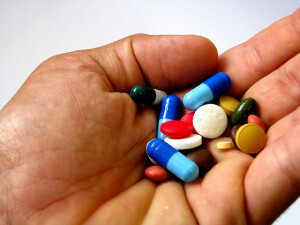 Learn about the pharmacology of antimicrobials! The pharmacology of antimicrobials is an extremely exam-relevant area of pharmacology. What are Cell Wall Synthesis Inhibitors? And what are Antimycobacterial Agents? Dr. Pravin Shukle will guide you through the associated pharmacological topics, teach you how to handle these kinds of questions, and help you to pass your USMLE. Among other topics, you will learn everything there is to know about Antifungals, Anti-HIV Agents or Antiprotozol Agents. The download material, which includes presentation slides and related articles, will help you to dig deeper into each topic. Furthermore, quiz questions allow you to test your learning progress and get the best USMLE preparation. Learn pharmacology online now—with Dr. Pravin Shukle and Lecturio! 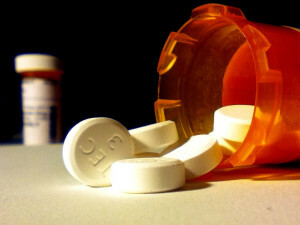 Many bacteria are inherently resistant (intrinsic resistance), while others develop resistance to common antibiotics such as penicillin or fluoroquinolones. 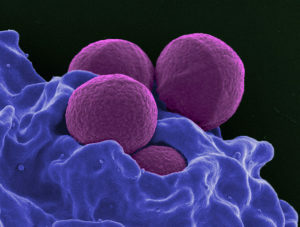 For the treatment of infections caused by these pathogens, selective antibiotics, pathogen-specific narrow-spectrum antibiotics should be used. Life-threatening infections should be treated with broad-spectrum antibiotics before identification of the pathogen. This article provides an overview of reserve antibiotics, their pharmacodynamics, indications and adverse effects. 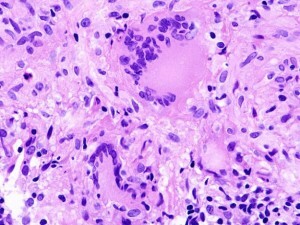 Amebiasis is caused by Entamoeba histolytica. Infection occurs by ingestion of water and food contaminated with feces (containing cysts of Entamoeba histolytica). In this article, we will study in detail about the various amebicides, their mechanism of action, adverse effects/toxicity, contraindications, drug interactions and drugs of choice. Other important therapeutic aspects of individual drugs will also be studied. 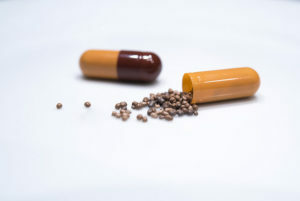 In this article, we will study in detail various anti-herpes drugs, their mechanism of action, adverse effects/toxicity, contraindications, drug interactions and drugs of choice. Other important pharmacological and therapeutic aspects of individual drugs will also be studied. The Human immunodeficiency virus (HIV) infection occurs in and kills millions of people every year worldwide. The virus enters CD+ cells of the host immune system and replicates, thereby destroying the cells and weakening the immune system. This leaves the host vulnerable to many infections. It is crucial to understand the mechanism of the HIV infection in order to develop effective antiretroviral therapies. 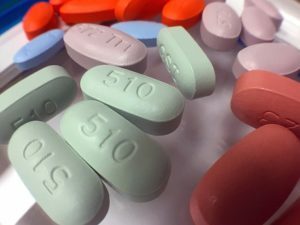 Unfortunately, resistance against HIV drugs is common and cross-resistance among the same class of drugs is also common. Measures such as pre- and post-exposure prophylaxis help to combat the spread of infection. 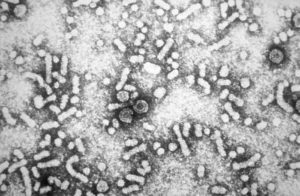 In this article, we will study the details about the various antiviral agents used to treat hepatitis, their mechanism of action, adverse effects/toxicity, contraindications, drug interactions and drugs of choice. Other important pharmacological and therapeutic aspects of individual drugs will also be studied. Antiviral agents are chemotherapeutic drugs that are effective against different viruses. Influenza is a common infection; anti-influenza agents are useful for both prophylaxis and the treatment of influenza. CMV retinitis is a common opportunistic infection in immunocompromised patients; there are several antiviral drugs effective against CMV. Pharmacology of all the drugs will be discussed briefly. Amebiasis is an infection of colon caused by Entamoeba histolytica. 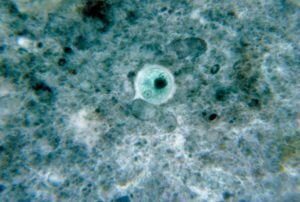 Infection occurs by ingestion of water and food contaminated with feces (containing cysts of Entamoeba histolytica). In this article, we will study in detail the various amebicides, their mechanism of action, adverse effects/toxicity, contraindications, drug interactions and drugs of choice. Other important therapeutic aspects of individual drugs will also be studied. Malaria is a protozoan infection. 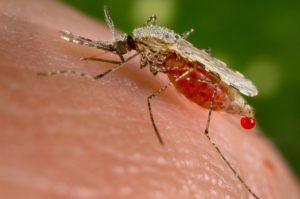 Malaria is caused by the bite of female Anopheles mosquito. In this article, we will study the various antimalarial drugs, mechanism of action, adverse effects/toxicity and drugs of choice in detail. Important therapeutic aspects of individual drugs will also be studied. Infection caused by various helminths (worms) is among the most widespread of chronic infections and its occurrence is more common in developing regions with poor personal and environmental hygiene. 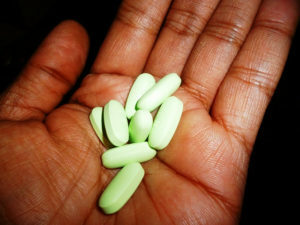 In this article, we will study in detail the various anthelmintic (anti-parasitic) drugs, mechanism of action, adverse effects/toxicity and drugs of choice. Important therapeutic aspects of individual drugs will also be studied. This actually was an amazing lecture. Made me understand a lot of issues around Gentamycin. Very nice lectures! Focuses on the need-to-know things that have clinical relevance. All lectures are brief and to the point . The lecturer uses examples to help reinforce important points about the drugs. He uses humour to keep the lecture interesting and engaging. I would recommend this to everyone as their go -to pharmacology tutorial course. Just want to say that this lecturer is gold. He speaks clearly, does not refer to items not present on the slide (thus confusing the learner), and excellent at teaching. Really enjoying all your lectures Dr. Shukle. Dr. Shukle has a great tone and lays emphasis on what's considered high yield for exam. I like examination oriented lecturers who constantly open your eyes to those things that are frequently tested. I studied the lectures for NBME Microbiology as a supplement to the other material. It was very helpful and I strongly recommend these lectures by Dr. Shukle. It is well presented and informative. I like that it is concise and emphasizes on what we really need to know. Include dosage and half lifes for all drugs please. hello Lecturio Im from Philippines Im so happy that I came to find this very knowledgeable site where I can learn sruffs related to my course which is Pharmacy. I loved the lecture so much! But sir, isn't there something called as fifth generation cephalosporins? And please please pleaaaase add more questions to each chapter. Only 3 questions per chapter is not enough. Please consider this sir. Very clear and concise material!!! easy to understand and remember with great association with the clinical part.Really helpful for everyone who didn't want to waste their time with boring teacher in the classroom. Thorough, organized, not only important for exams but also very much applicable on daily basis in patient care. This is in my opinion the perfect way of building up lectures: Starting out with introduction to all different groups. Followed by details in all groups and ending with questions, so that you are sure you can use the knowledge you have just gained. Crisp and clear presentation. Easy to follow. Well organized bullet points.